Discover agricultural regions that are rooted in tradition, beauty and deliciously fresh food. On a Holland America Line cruise, a child’s point of view can create magic. Carve out time in a city that’s both action-packed and totally laid-back. Treat yourself to an ultra-luxury Silversea cruise and make a difference through travel. Nelson Mandela’s enduring legacy stands strong in meaningful sites across South Africa. The newest ship from Celebrity Cruises® blurs the lines between nature and nurture. Tempt your palate — from fine dining to street food — on your journey through Hong Kong and Macao. Pair your journey to the world’s most incredible destinations with the best handpicked hotels. Taste the flavors of Kauai on an expertly guided excursion. On an outing on the North Shore, meet the chefs who rely on ingredients rooted in tradition — like taro cultivated on a farm that has been in the same family for six generations. On the southern side of the island, follow your guide to savor mouthwatering sushi and meet the vendors at a local farmers market. Or head straight to the Kauai Coffee plantation, the largest coffee farm in the U.S. where the beans are grown, harvested and roasted. 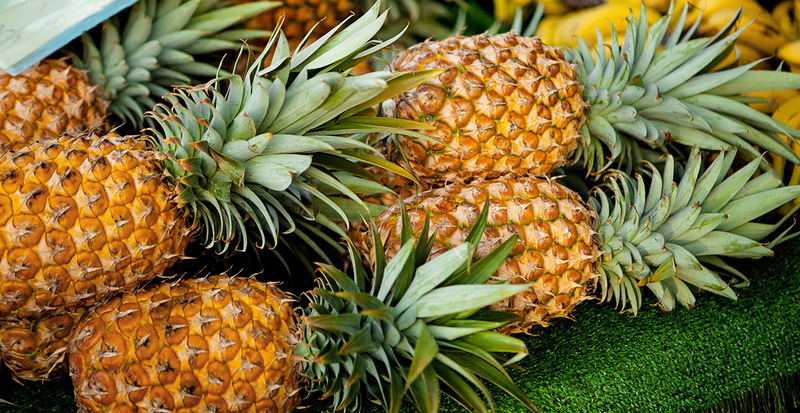 Famed for its labyrinth of pineapple fields and one of the world’s largest mazes, the Dole Plantation offers guests samples of sweet pineapples (among other tasty treats) and insight into centuries of Hawaii agriculture. Climb aboard the Pineapple Express train for a narrated tour of the plantation and stroll through the Plantation Garden. Delight in local Oahu flavors and sustainably grown foods at the Kapiolani Community College Farmers Market, where artisan booths display handmade crafts and fresh ingredients. Cheese connoisseurs will want to make their way to Naked Cow Dairy Farm, Oahu’s only dairy farm that expertly produces gourmet butters, artisan cheeses and yogurts without using antibiotics or hormones. Learn how to make creamy mozzarella and meet the menagerie of animals that call the farm home. Wander narrow rows of delicate lavender plants at Alii Kula Lavender in Maui’s Upcountry. Sweeping vistas of the ocean are complemented by these pretty pastel fields. Traverse the terraced landscape on a guided walking tour or enjoy the fields with a cart tour, then visit the gift shop for lavender-infused products and snacks like lavender scones and dark chocolate. Swing by the Surfing Goat Dairy farm, Hawaii’s only award-winning caprine operation. Owned and operated by two passionate German expatriates, the sprawling 42-acre farm houses over 100 goats that produce a flavorful variety of cream cheeses and soft cheeses. You can sample Udderly Delicious plain cream cheese and the more adventurous Mandalay flavor: apple, banana and curry. 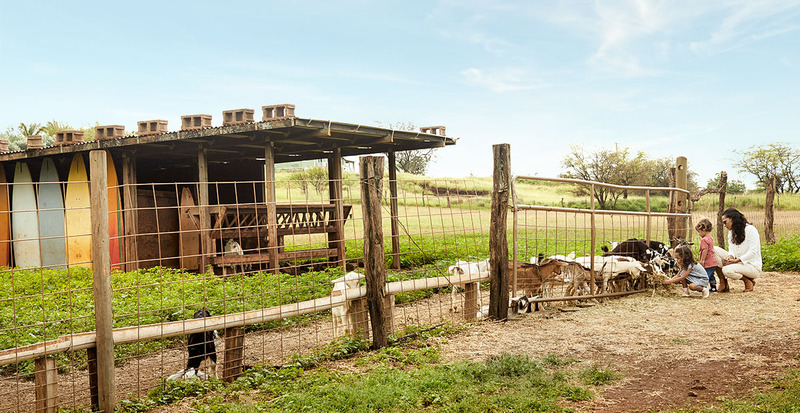 You can even feed the curious goats and watch the youngest kids frolic in the pastures — sometimes days-old baby goats are out exploring the fields! It’s a little-known fact that out of 120 different varieties of vanilla, only two are commercially produced. At Hawaiian Vanilla Company, they cultivate both and were the first company to commercially produce vanilla in the U.S. Begin with an indulgent Vanilla Luncheon, where you’ll be served refreshing vanilla lemonade, a vanilla-infused salad and a vanilla citrus bourbon chicken sandwich before touring the property. 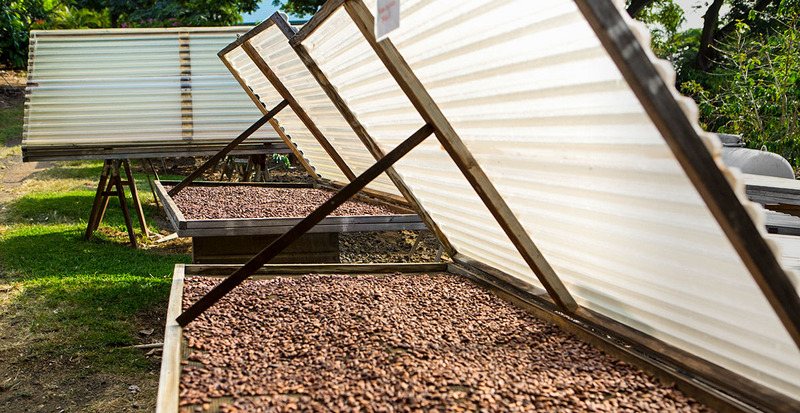 For an equally sweet treat, head to the Original Hawaiian Chocolate Factory Farm for 100 percent Hawaii-grown cocoa beans and discover the distinct flavor and texture of Hawaii chocolate. Top off your inland culinary tour of the island of Hawaii with a visit to Big Island Tea, where green and black tea flourish in Maunaloa’s cloud forest. Try your hand at picking and rolling green tea leaves during a workshop and learn about the fragile ecosystem that exists in Hawaii’s cloud forest habitat. Let Hawaii Happen when we plan your inland adventures.